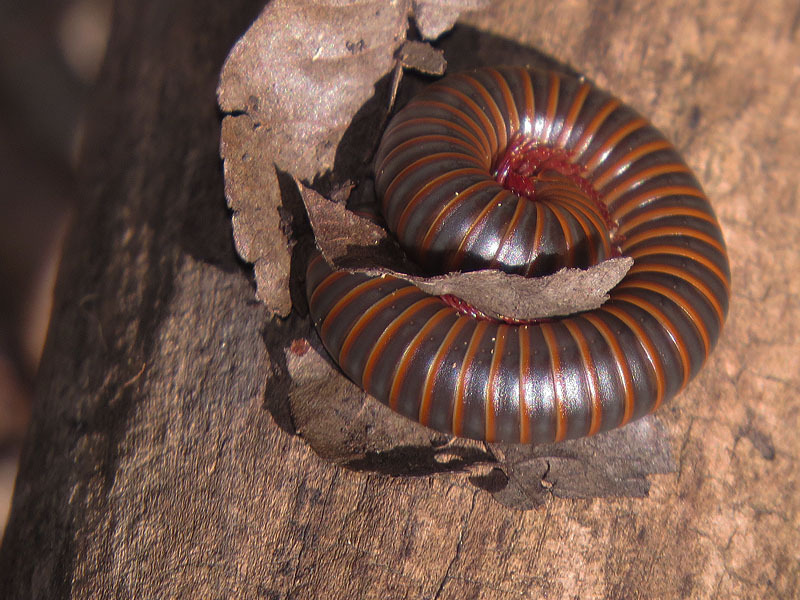 The mystique that surrounds the Great Trinity Forest creates a powerful draw. 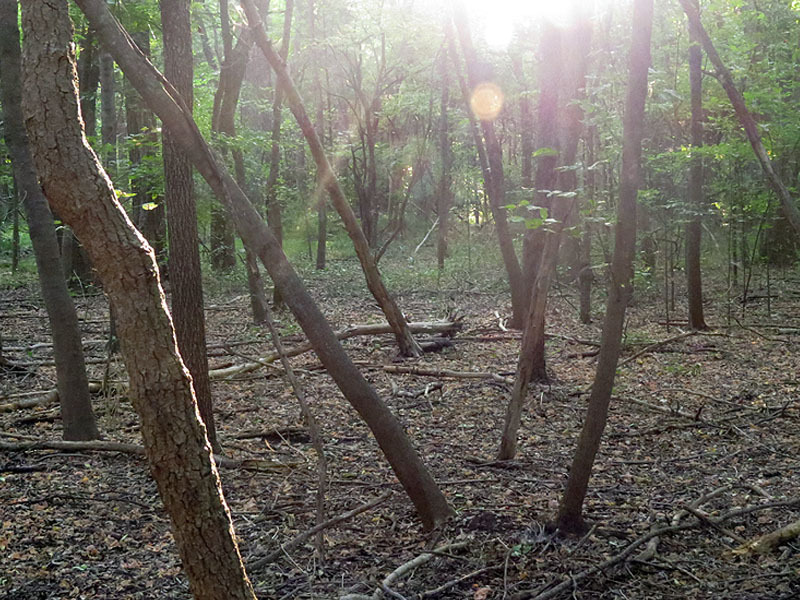 The extraordinary appeal of these woods is hard to explain, but it surely has something to do with the fact that there just isn’t supposed to be a wilderness area like this inside the boundaries of a major American metropolis. 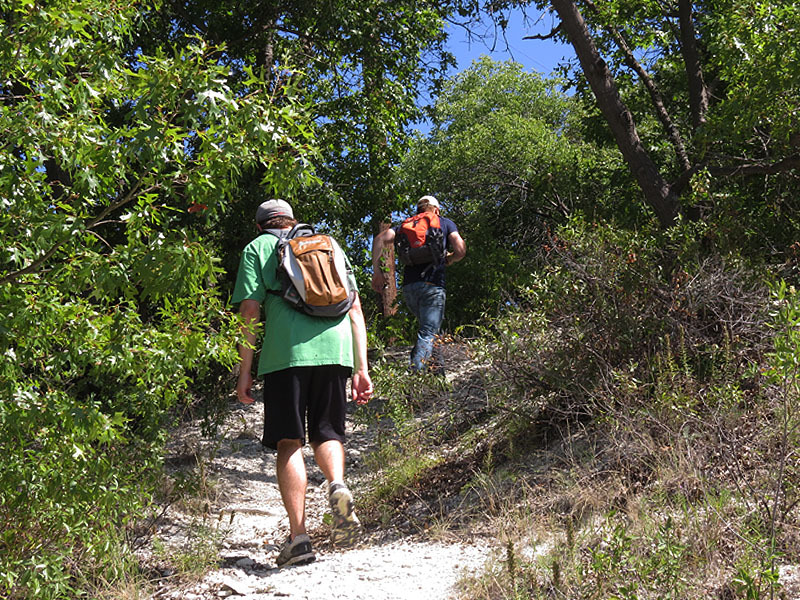 The Great Trinity Forest is much more than just a wilderness area, there is history and drama hidden in these woods. Some of it goes back centuries and some is much more recent. I’m always eager for an opportunity to explore here. The objective for this trip was to see what there was to be seen in a vast area known as the Bruton Bottoms. 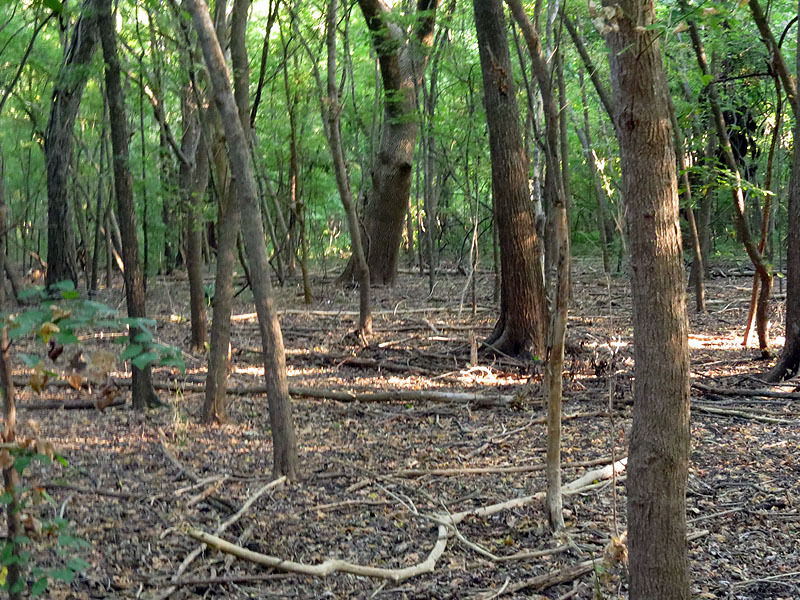 Some parts of the Great Trinity Forest are more foreboding than others, and these marshy bottomlands are one such place. 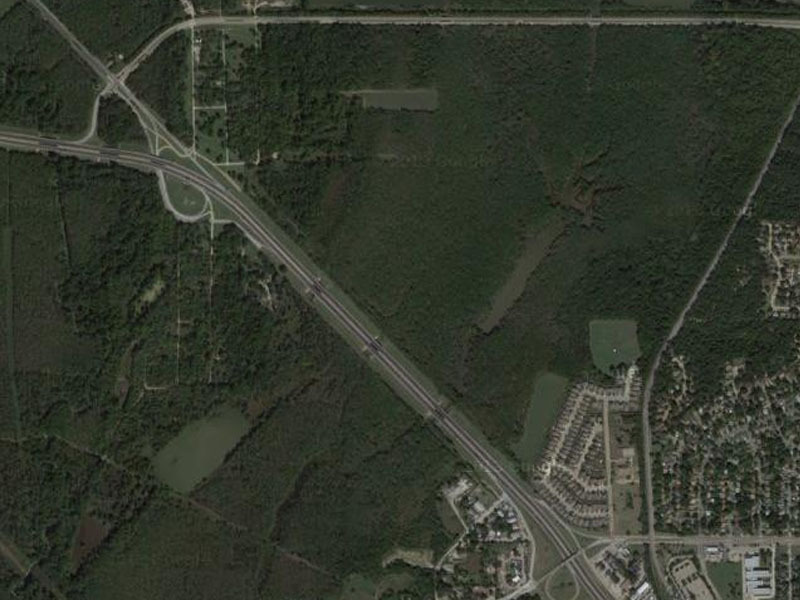 Deep in the heart of this wooded swampland lies a small lake, which ordinarily can only be seen from the air. Our goal for the day was to get in and see this body of water from its very shores. In August it pays to get an early start in order to avoid the worst of the day’s heat, so we hit the trail at the crack of dawn. We entered the woods with only the vaguest idea of what lay in store for us on this hike—very little pre-scouting had been done. All we knew for sure is that we would be off trail and making our own way for the vast majority of this effort. When you drop under the tree canopy in the Bruton Bottoms your are instantly transported to another world. Gone is the concrete, glass, and steel of the modern world. 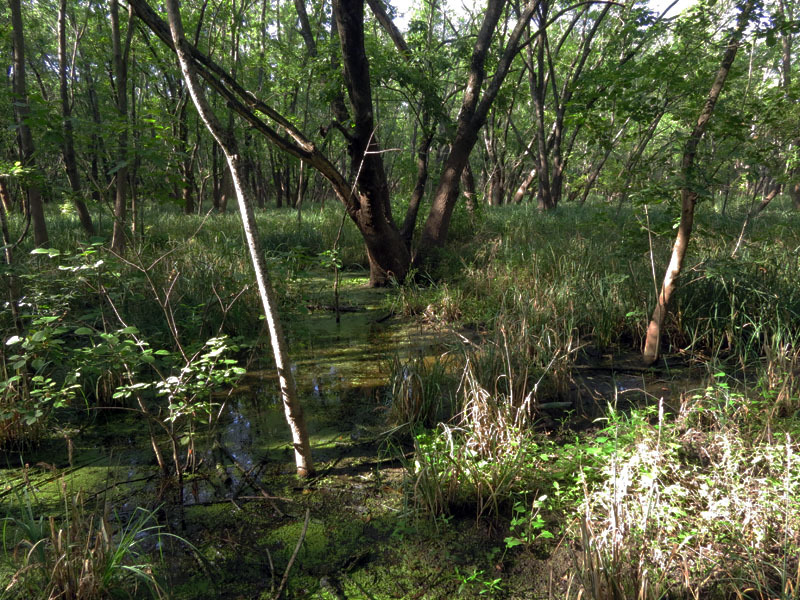 This is a darker and more organic place of swamps and bogs. 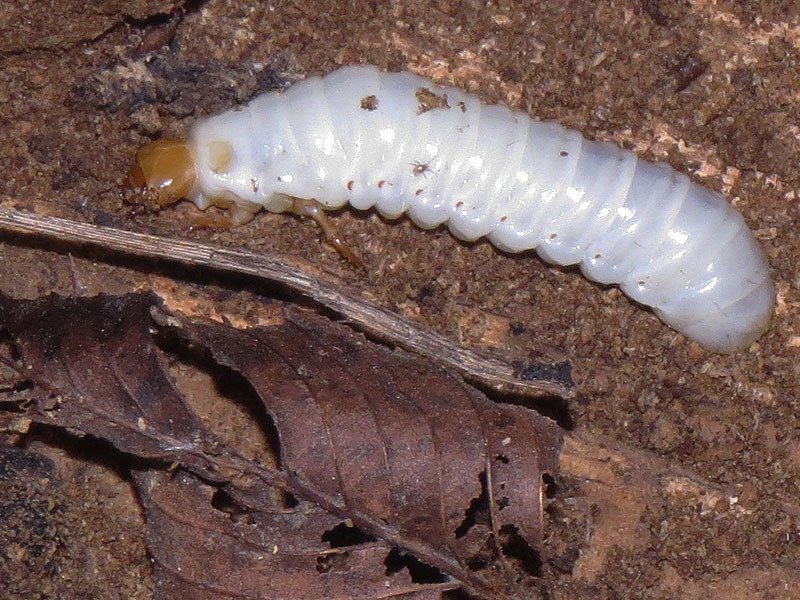 It is the realm of the creepy and the crawly. With me on this trip were my fellow explorers, Jonah Taylor and Grant Shepard. Grant is an amateur herpetologist who really knows his stuff. I have been depending on his help with identifying reptiles and amphibians for years now. Since these were exactly the type of creatures we were most likely to encounter on this trip it was a real boon to have someone with his expertise along. 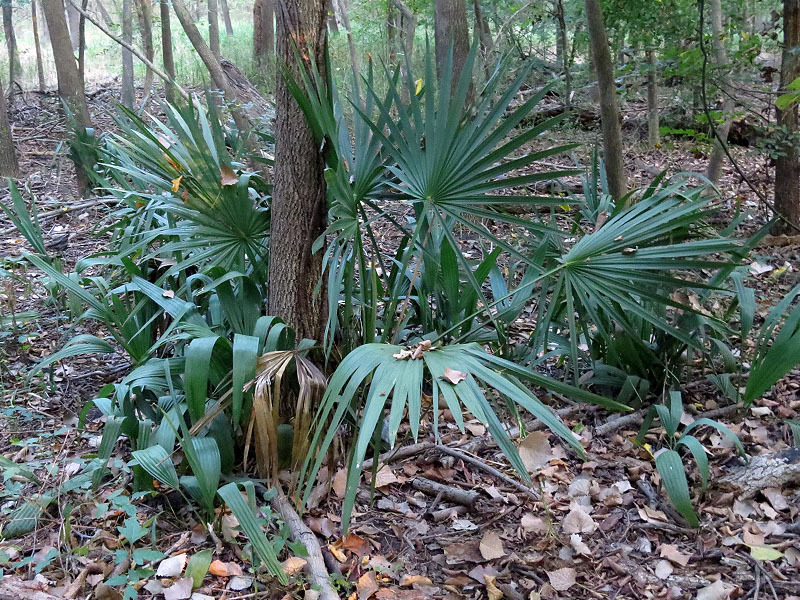 The first indications we found that we had entered someplace unique were the cluster of dwarf palmettos we discovered shortly after ducking under the tree canopy. At this hour these woods were still dark and foreboding, lit as they were by only a few rays of the early morning sunrise. 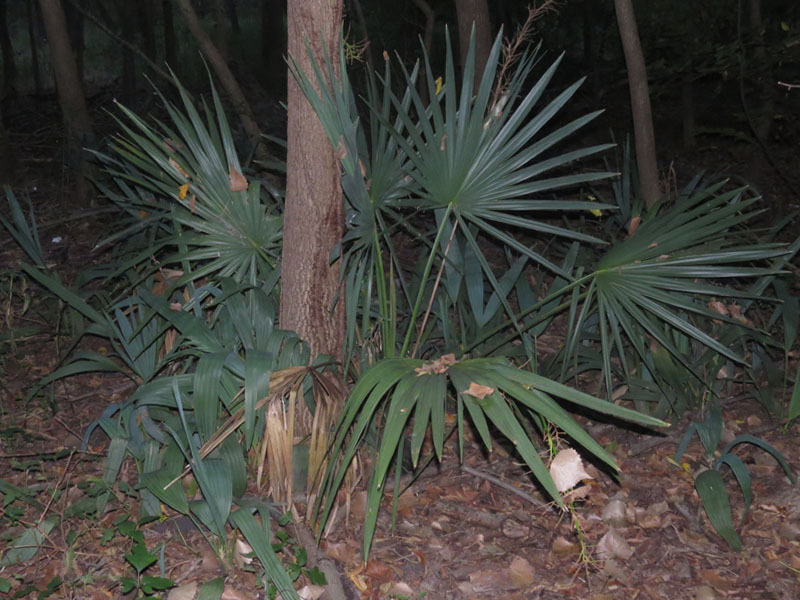 Dwarf Palmettos in the predawn darkness. Dawn breaks in the Bruton Bottoms. It was interesting to watch Grant go to work in here. His approach to things is a little different than mine. To date, I am still mostly concerned with finding and photographing mammals and birds (although I expect that to change over time). 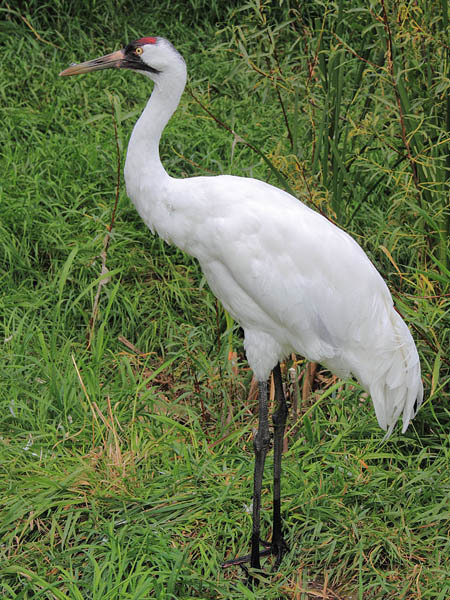 Slow and deliberate movements are required for those pursuits—if you want to get close to wary birds and mammals you must use a little stealth. 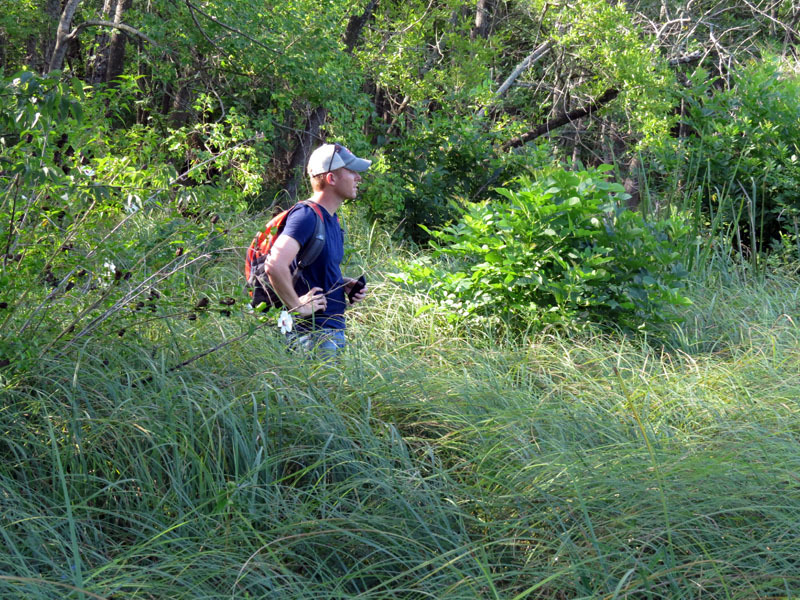 When searching for reptiles and amphibians you are permitted a little more latitude. You can conduct your search in a freer, less restrained way. In short, you get to be a more active participant. 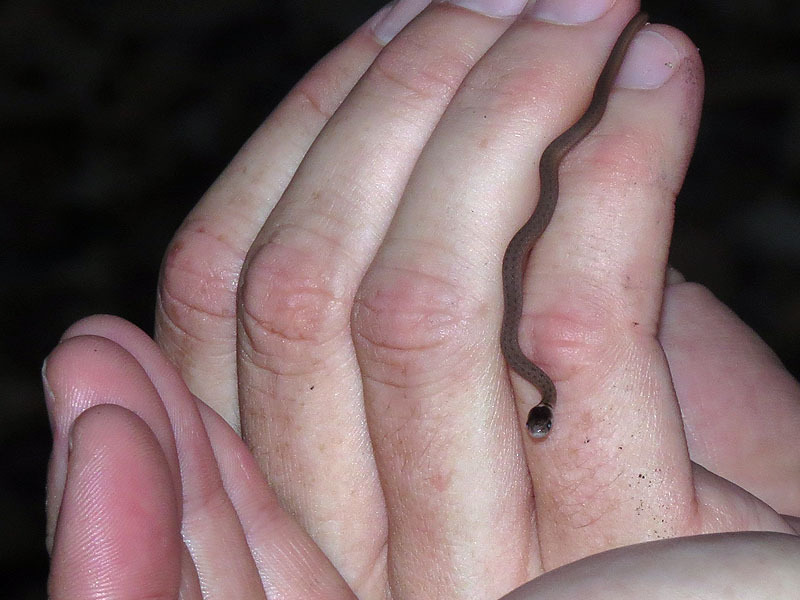 A juvenile Texas Brown Snake. 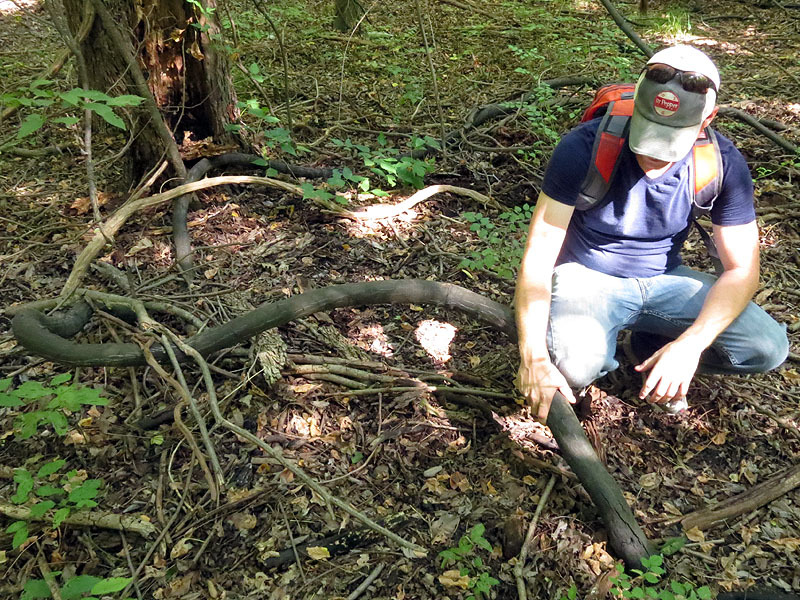 Searching for herps is often about looking under things and turning things over. But a sharp eye is also required. You frequently have to make a good and reliable identifications after only a fleeting glimpse of your subject. 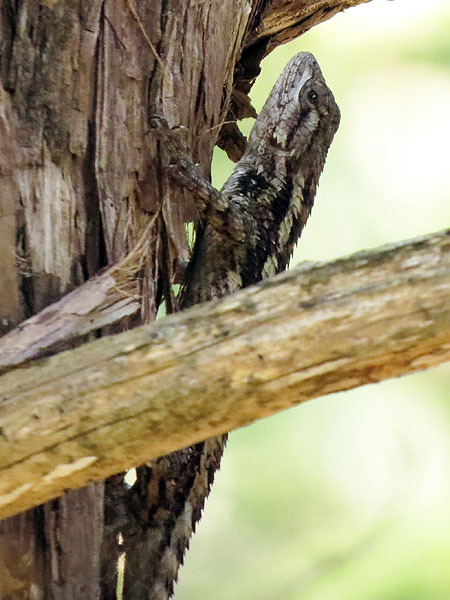 Many of these animals also have superb camouflage which can make them nearly impossible to see even when they are right out in the open. 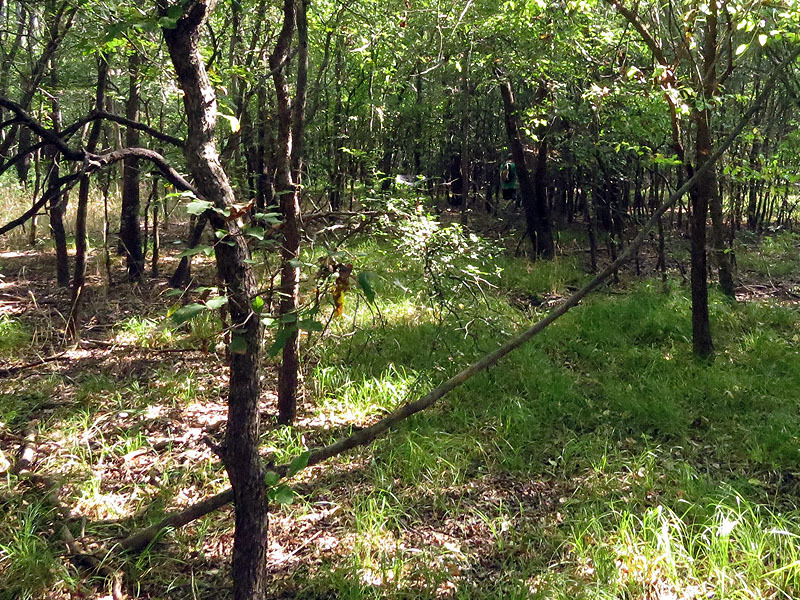 It was a real joy to watch Grant survey the understory with a rapidity and zeal that I am not accustomed to. A Betsy Beetle. 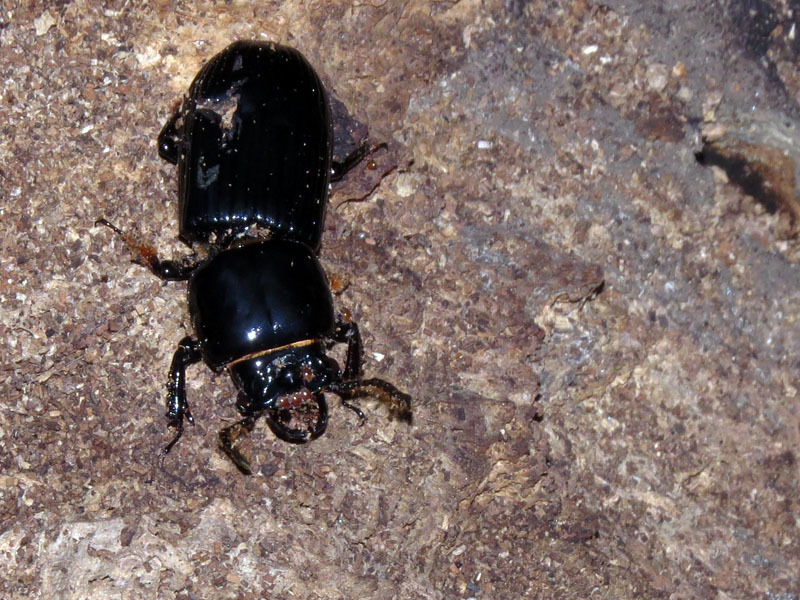 Notices the damaged wing cover and the mites on the beetles head. 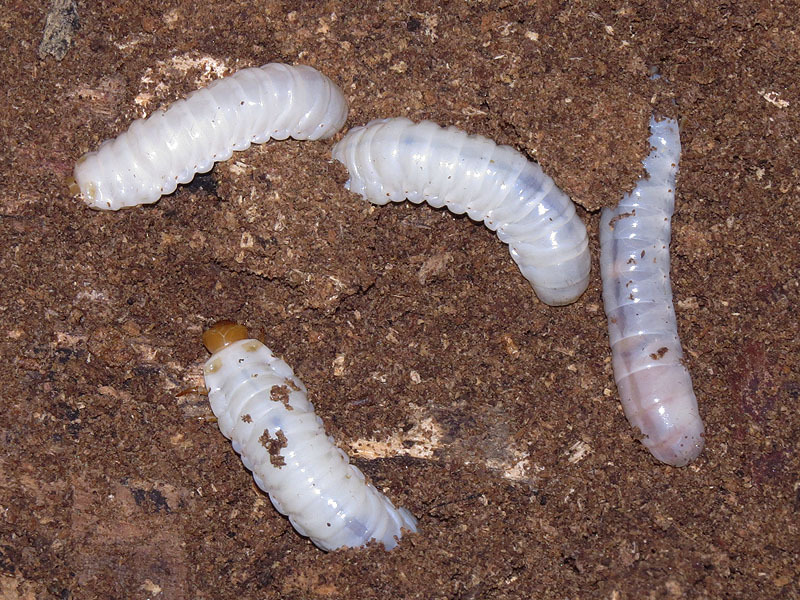 Betsy Beetles are considered subsocial—the adults provide care for their young. 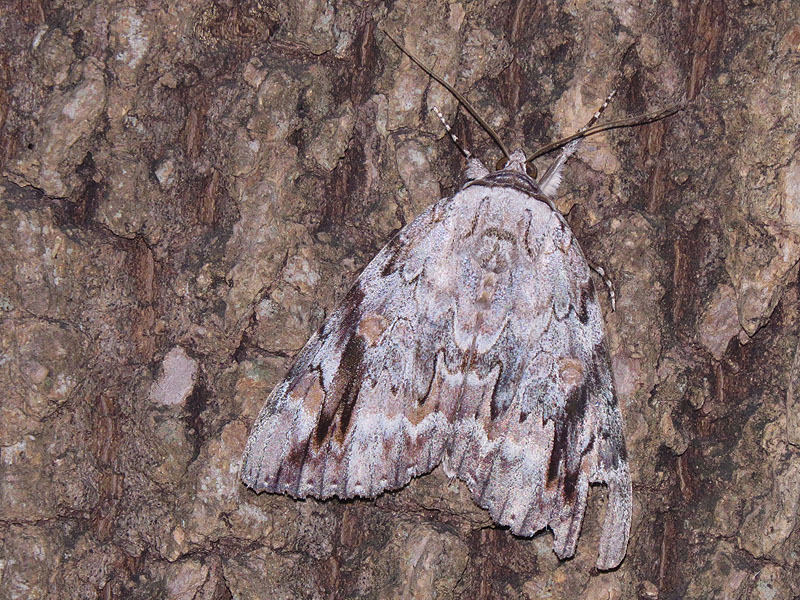 Sad Underwing Moth with nearly perfect camouflage. We found the going a little easier than expected in the early part of this trek. 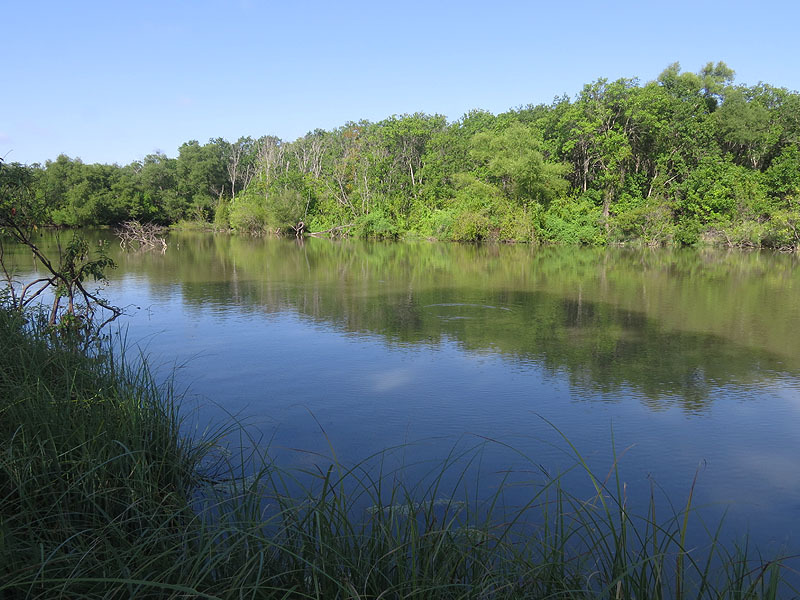 In wetter years this part of the Great Trinity Forest would be inundated under a foot or two of clear, slowly flowing water. 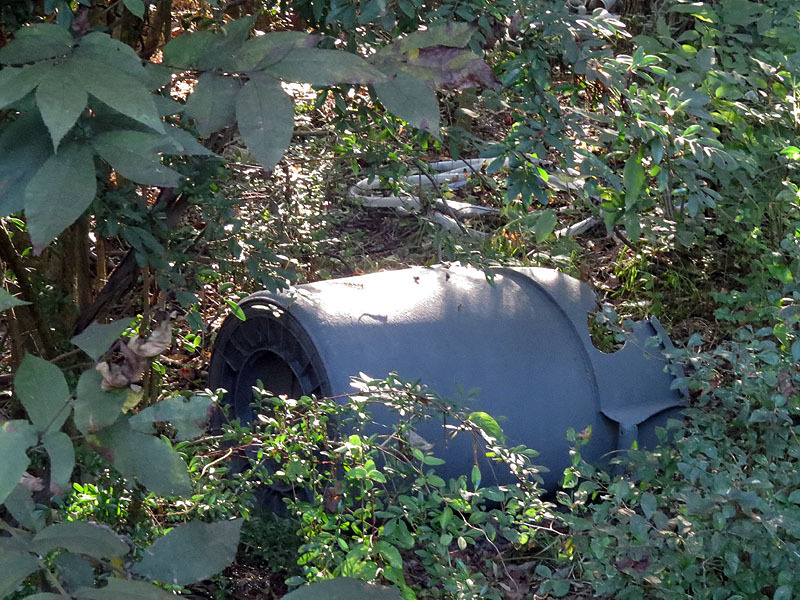 Over time the standing water has done an admirable job of keeping the area clear of underbrush. 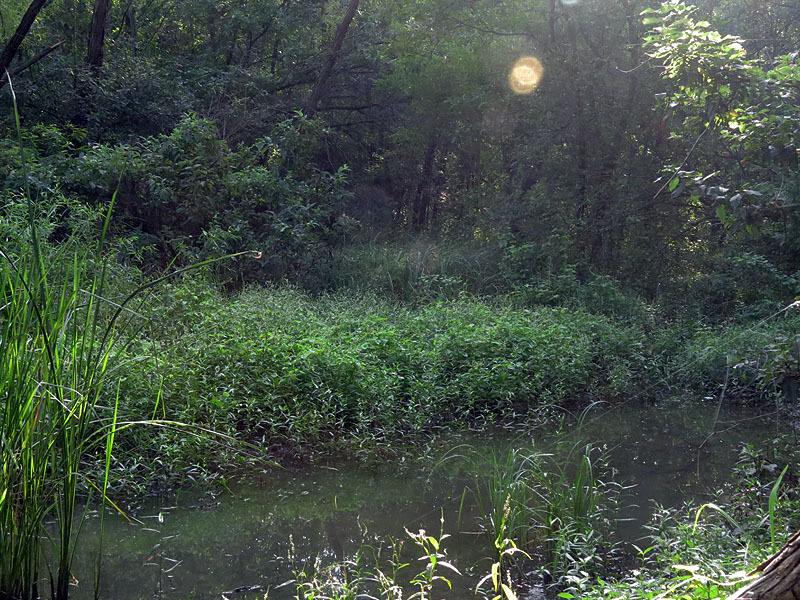 A true wilderness just five miles from downtown Dallas. 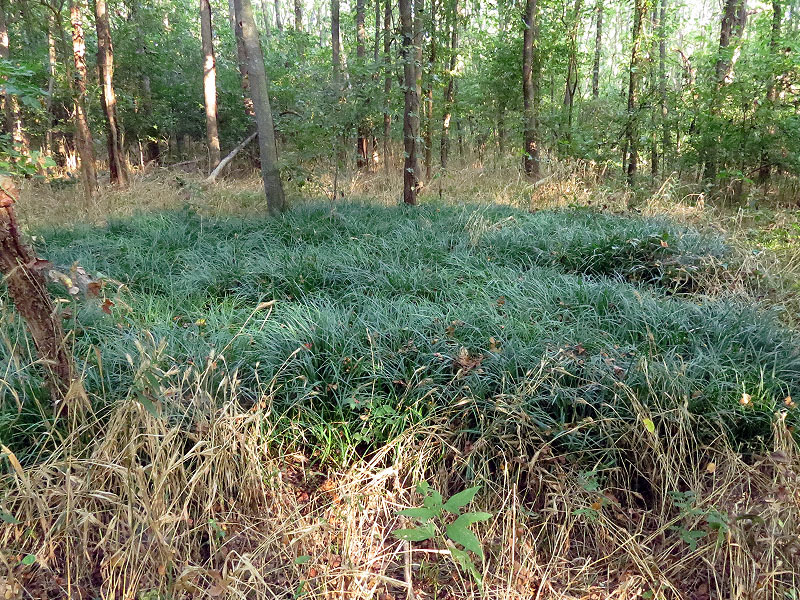 An unusual and localized growth of dark green sedge. 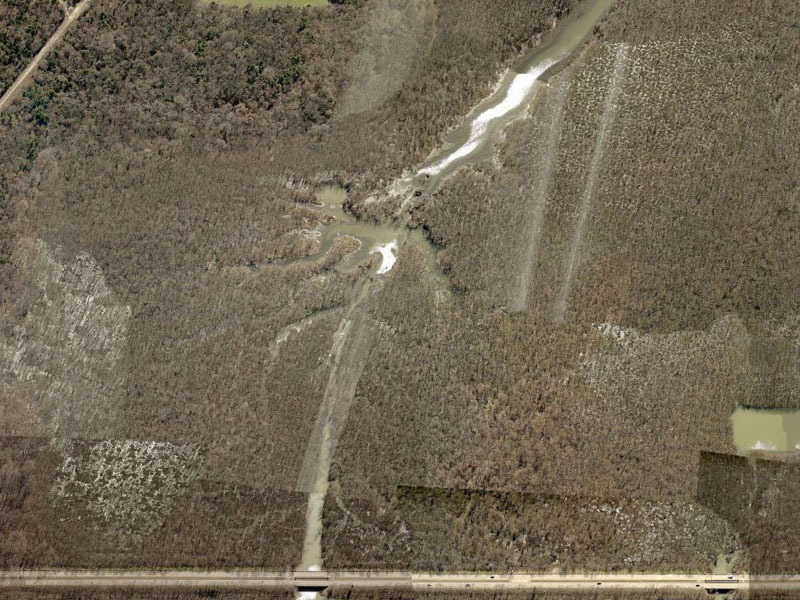 This aerial from Bing.com shows what the Bruton Bottoms are like under more normal conditions. 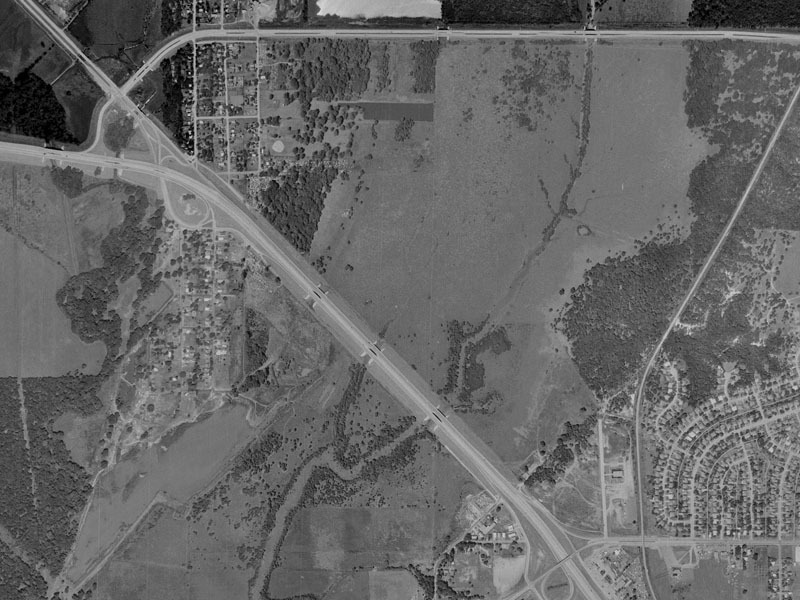 If you rewind the clock back decades rather than just years you might be surprised to find that this part of the Great Trinity Forest has not always even been wooded. 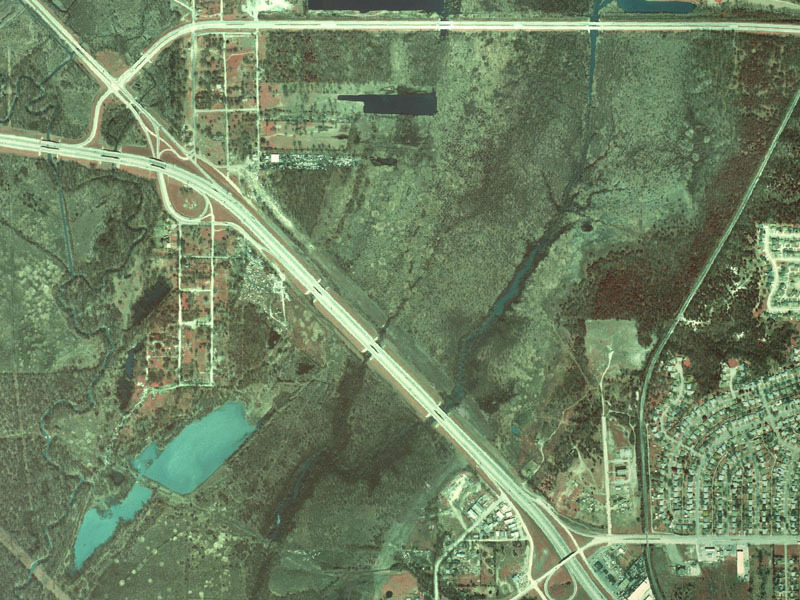 Through the late 1970s this part of Dallas was mostly scrub land and savannah covered floodplain. What trees there were grew close to the creek or up on the Piedmont Ridge. By 1989 the character of the region had begun to change, and by 2001 Bruton Bottoms had been entirely transformed into the dense forested area it is today. 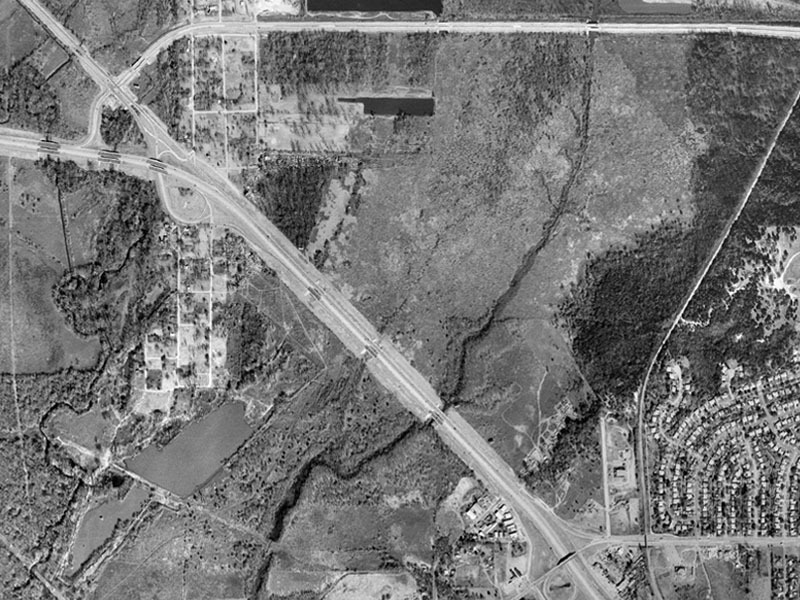 Be sure and note how the expanding forest swallowed up the abandoned neighborhood of Roosevelt Heights in the top left corner of the photographs below. As we pushed on we drew ever nearer to our destination. 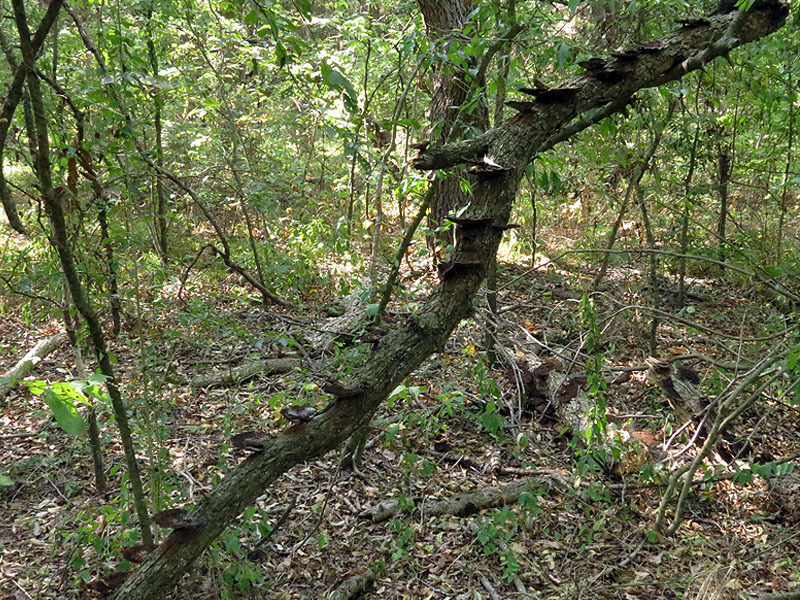 One constant in the Great Trinity Forest is that just around the time you begin to believe you’ve reached a spot that hasn’t experienced human intrusion in many years, you will find disturbing evidence to the contrary. 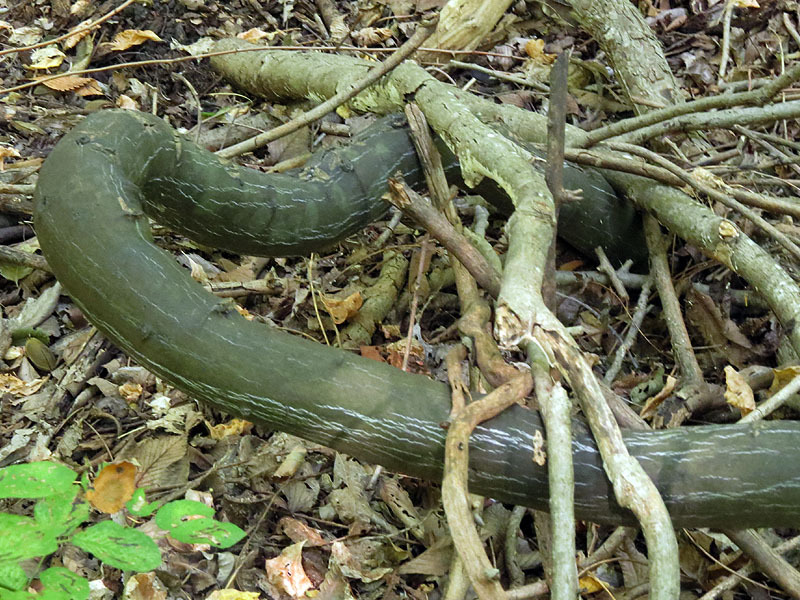 In this case we stumbled across a large hose stretched out across the forest floor. Following it off to the west we found one end sunk in the creek, and tracing it back to the east lead us back to a small man made clearing in the middle of the forest. Evidence suggests that this was an agricultural project and the hose was being used for irrigation purposes. This operation has been out of business for a few years now judging from the condition of things. I will leave it to the reader’s imagination to judge just exactly what might have been going on here. 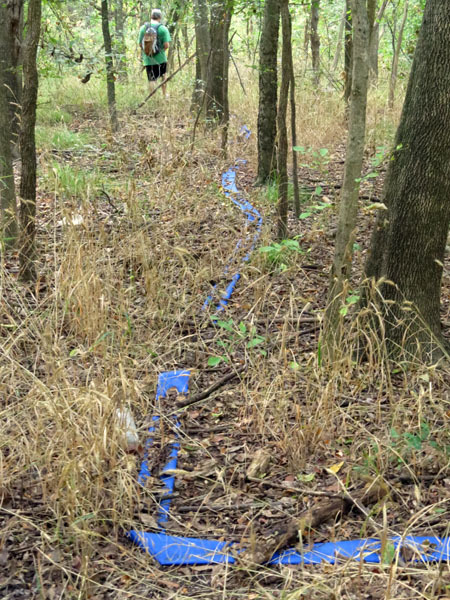 Large hose found stretched across the floor of the Great Trinity Forest. Following the hose off to the east. 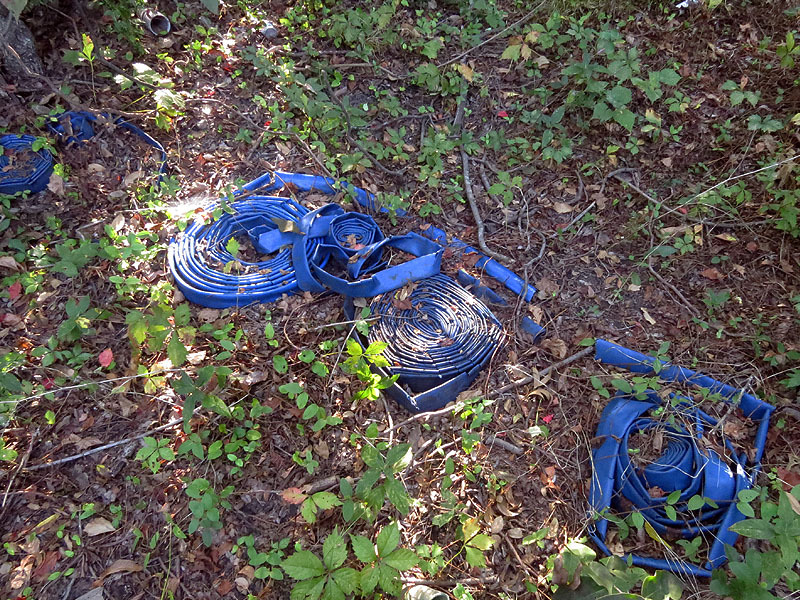 More hose was found in the clearing. 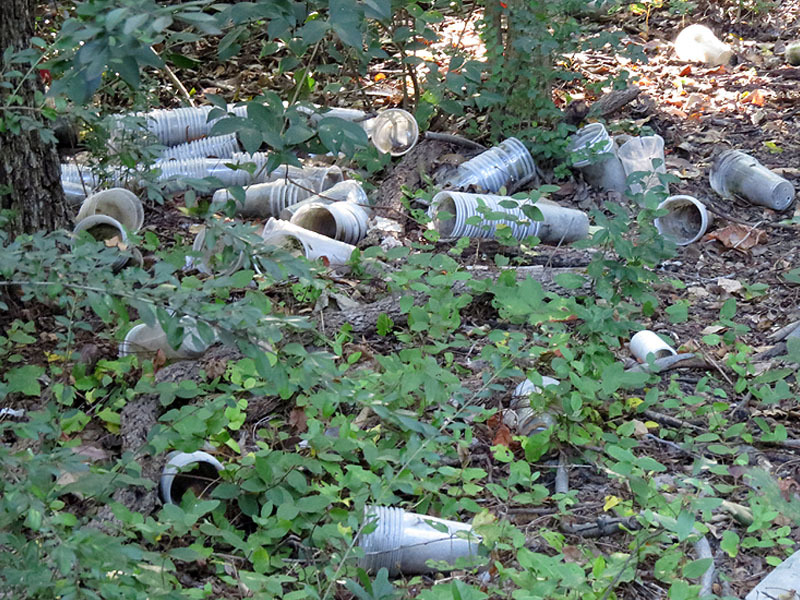 Dozens of solo cups littering the Bruton Bottoms. The terrain became more swampy the closer we got to the hidden lake. After a good deal of searching for a dry route to the waters edge we finally gave up and decided to slog on through. Waist deep marsh grass marked the wettest areas and proved to be only a minor inconvenience. Fortunately the ground was solid here in spite of being completely water logged. Conditions began to get swampy as we neared our destination. Our fist glimpse at the lake water. 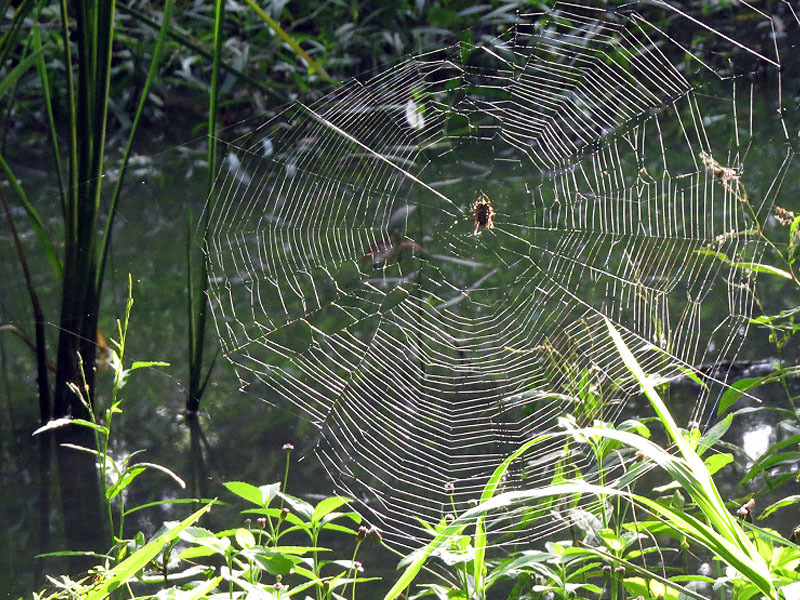 An orb weaver spider deep in the swamplands of the Bruton Bottoms. 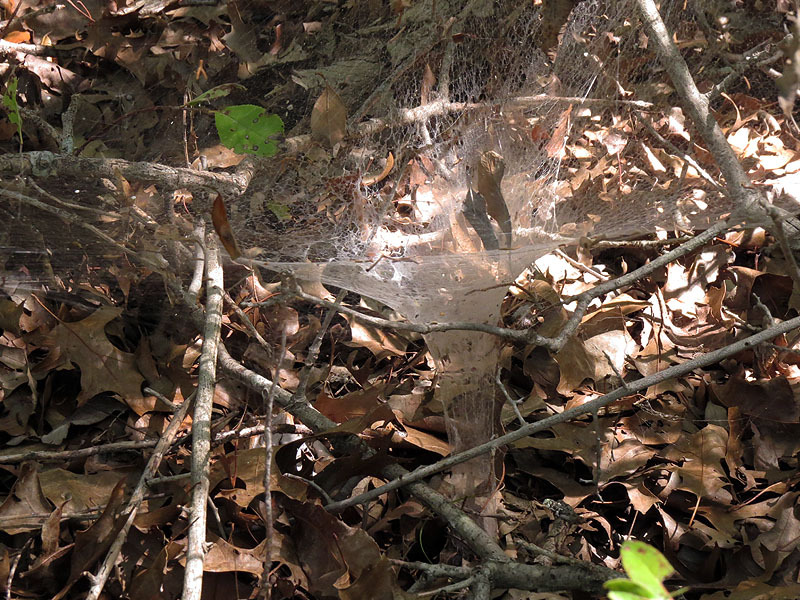 This web was easily two feet in diameter. 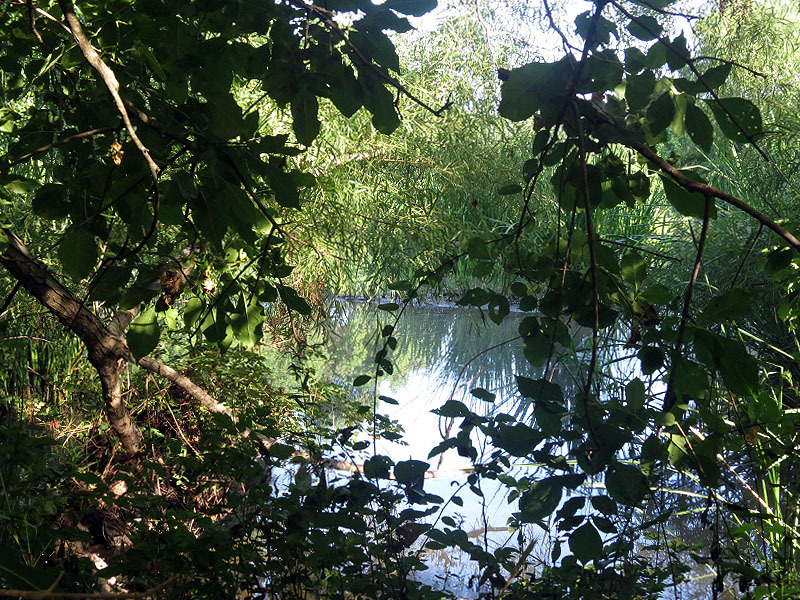 Eventually it became clear that the only way to reach the lake was to wade through the surrounding bog. 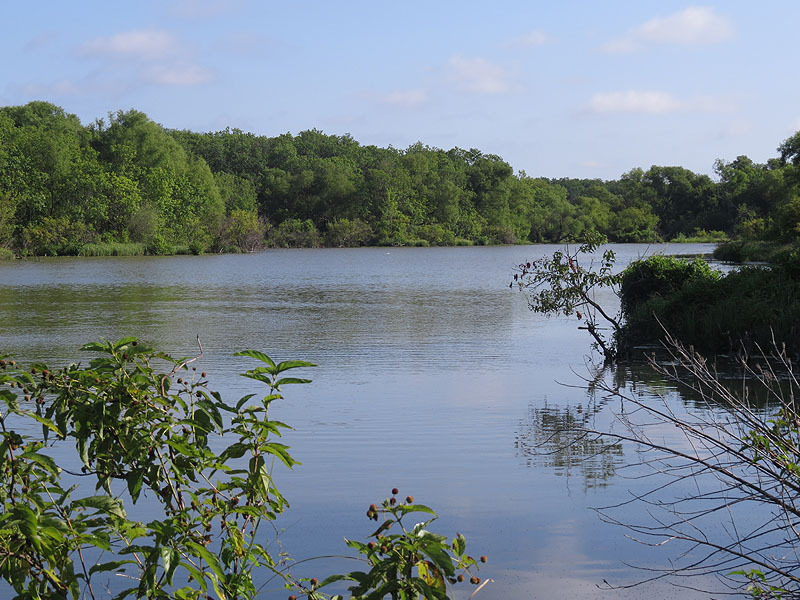 We emerged from the woods and stepped on to a nice little point which gave us a commanding view of what is surely the prettiest lake in all of the Great Trinity Forest. The water was still and mirror-like, broken only by the frequent splashes of jumping fish. This was truly a remarkable spot. Really breathtaking. We soaked it all in for several long minutes before moving on again. 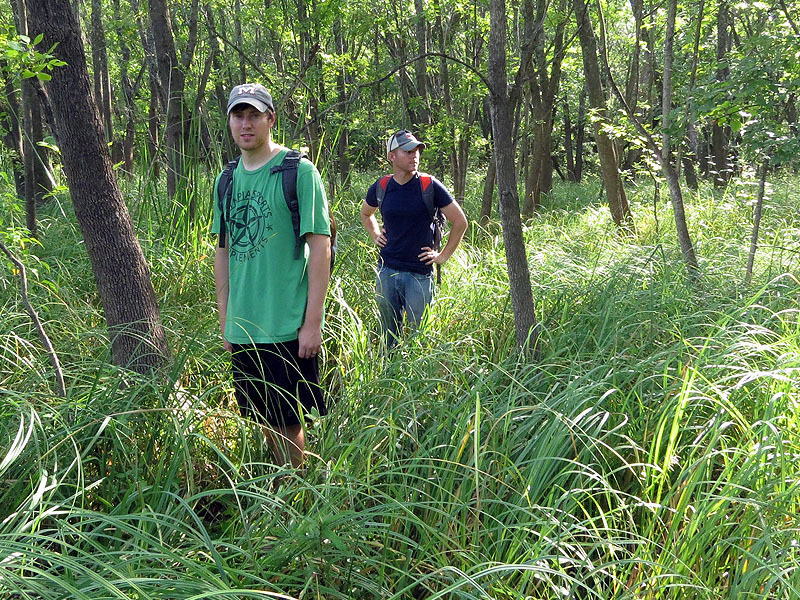 The water was ankle deep and the sharp-edged marsh grass was waist deep in places. With the lake in view, we had to decide how much further to push through the marsh. In the end we made it all the way to the water’s edge. The view we came in search of! 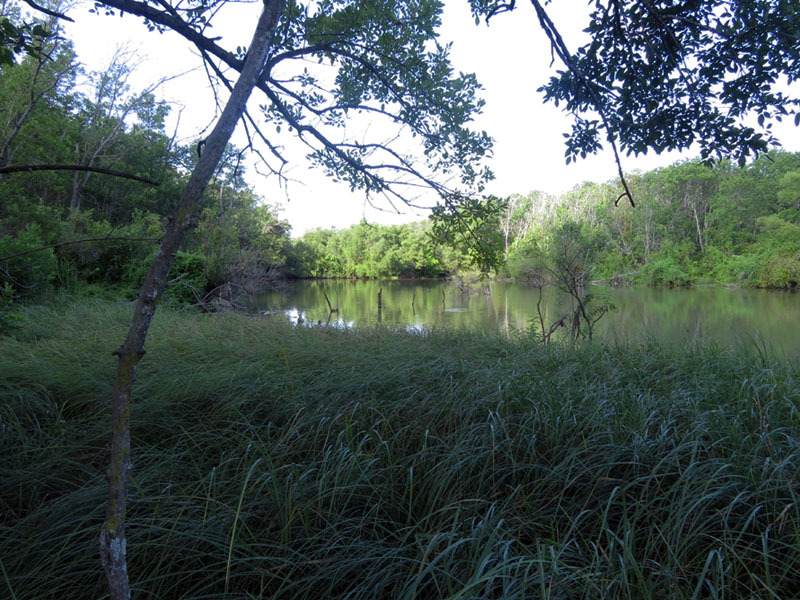 A beautiful unnamed lake deep in the heart of the Great Trinity Forest. 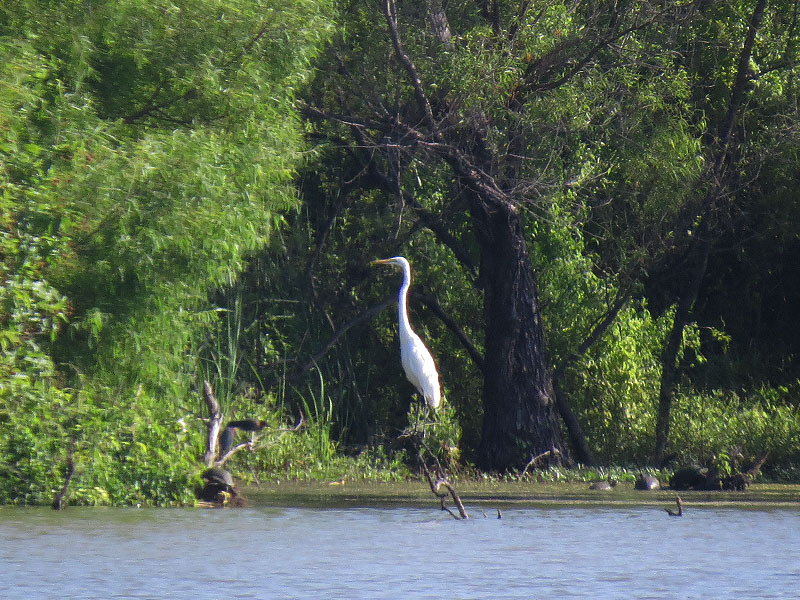 A Great Egret backed by a cadre of basking water turtles and a pair of Green Herons. Heading back out the way we came in allowed us to be much more confident about where we were going and what we should expect along the way. This in turn permitted us the luxury of watching of for wildlife more carefully as we went. Almost immediately we had a possible River Otter sighting as a medium-size, fur-covered creature did a serpentine lope through the tall sedge grass heading for the safety of the lake. 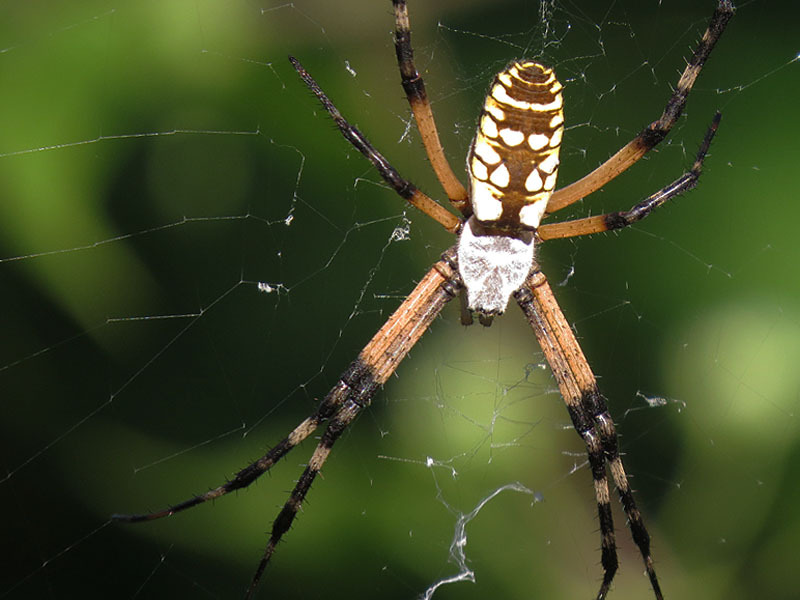 One of the many giant Black and Yellow Garden Spiders we encountered on this hike. 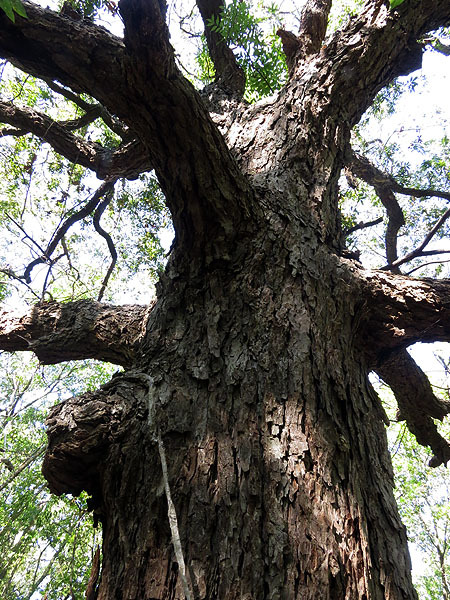 The old man of the forest—a giant Pecan Tree stands high above the younger trees of the surrounding forest. Notice the shed snake skin hanging on the knothole on the bottom left. 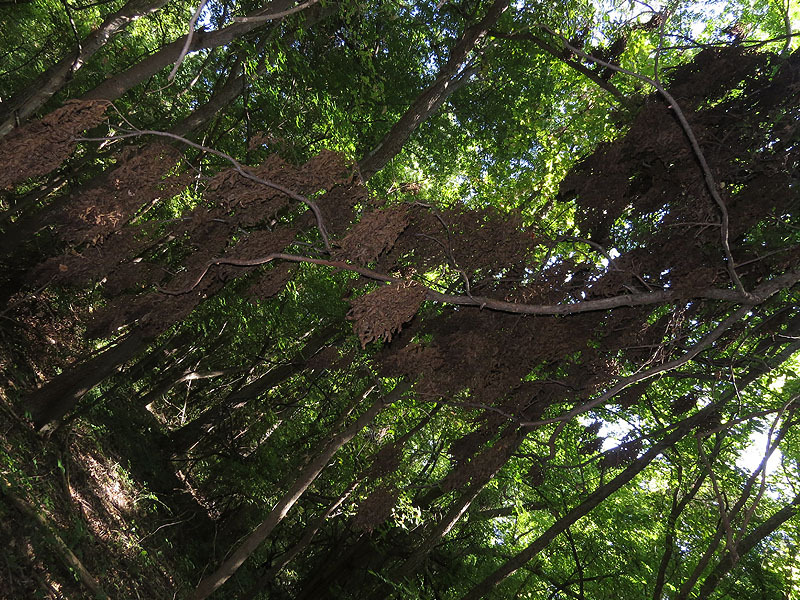 This five foot long shedding likely belonged to a Texas Rat Snake. 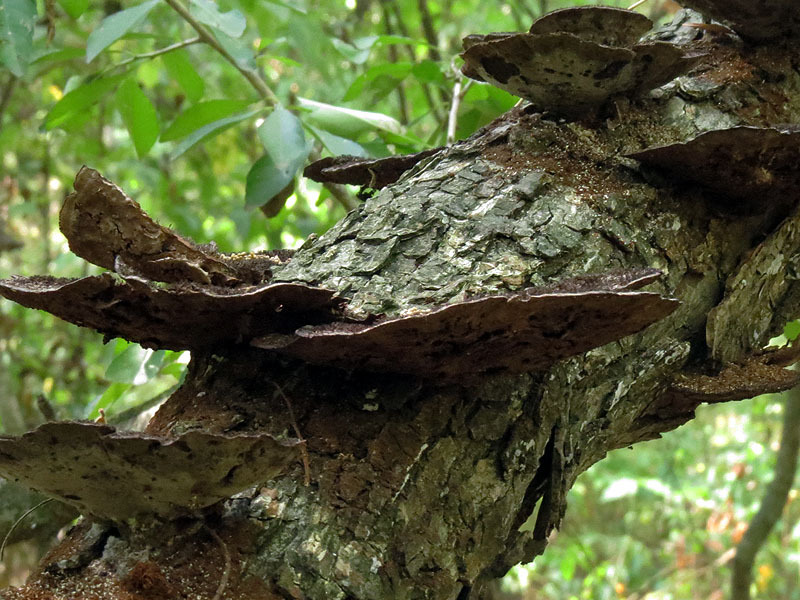 An odd arrangement of fungi growing on a leaning branch. A closer look at the stair step-like fungi. An unusual collection of dead, dry leaves. A closer look at the dead leaves. 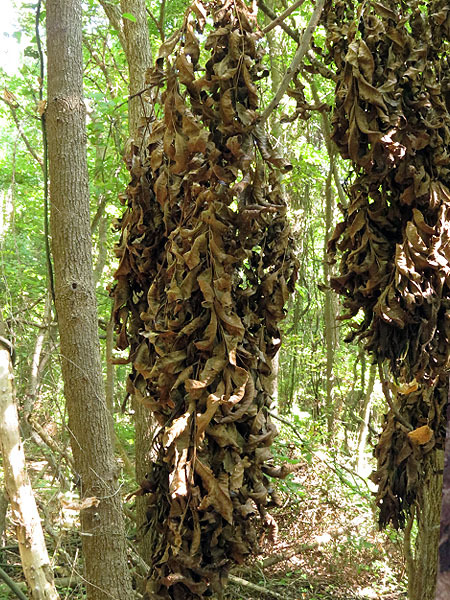 Giant vines hung from the trees and snaked across the floor of the Great Trinity Forest. Reptiles and spiders rounded out our discoveries on the way back, with the finding of a Broadband Water Snake being the highlight of the morning. 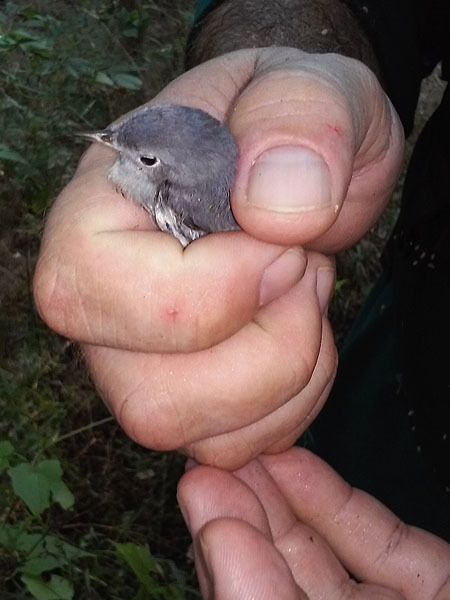 This find was a first for all of us. 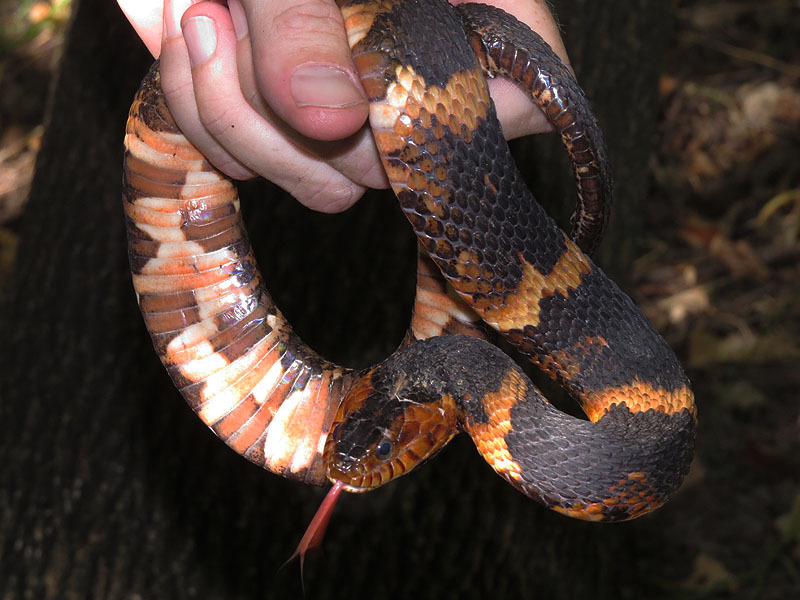 Even Grant had not encountered one of these strikingly attractive snakes in the metroplex before. The Dwarf Palmetto looked a little different in the light of day. 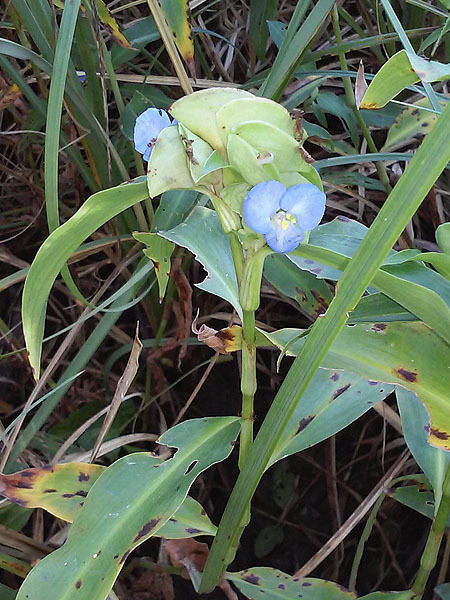 On closer inspection we discovered that this plant had many wild inhabitants living on its fronds. 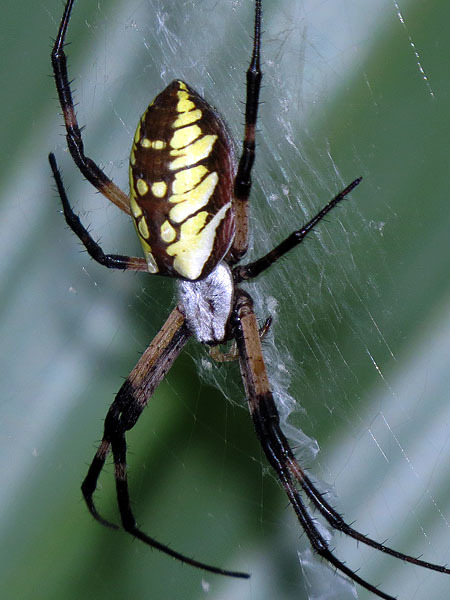 Another Black and Yellow Garden Spider. 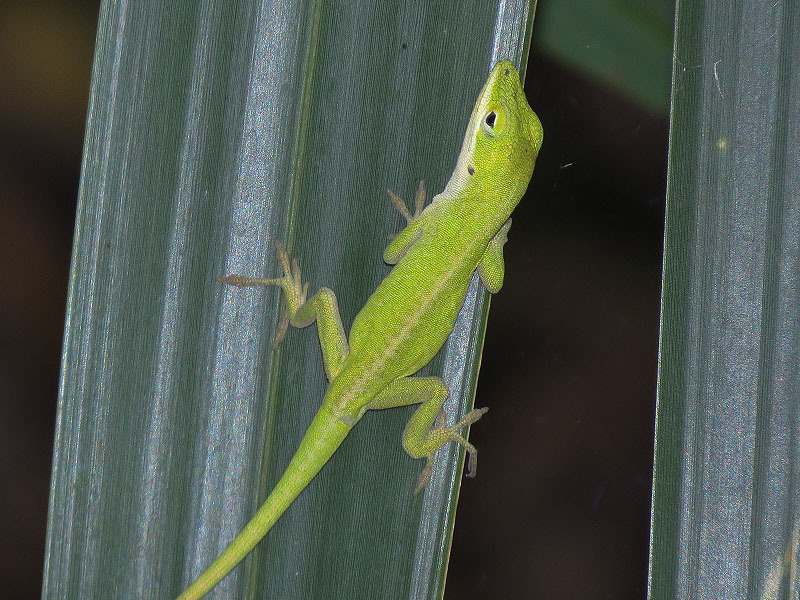 A young female Green Anole. 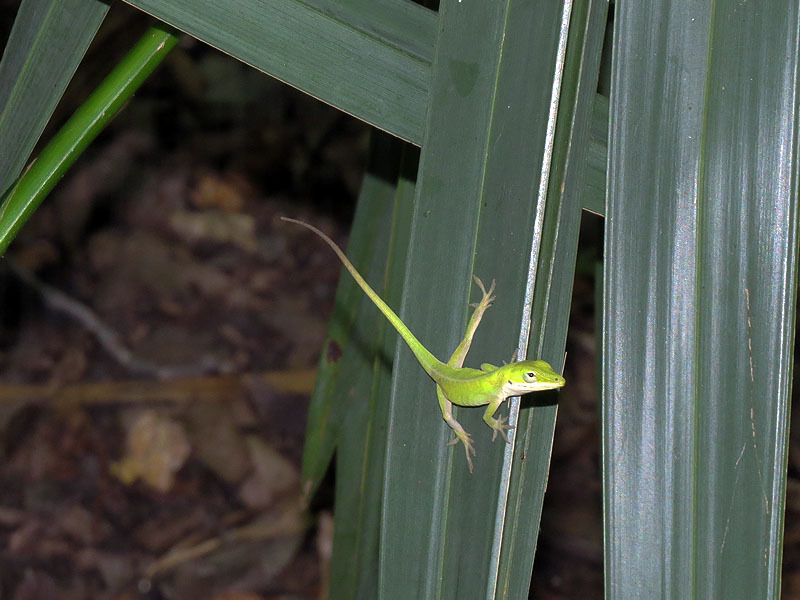 Green Anoles are active and engaging lizards. 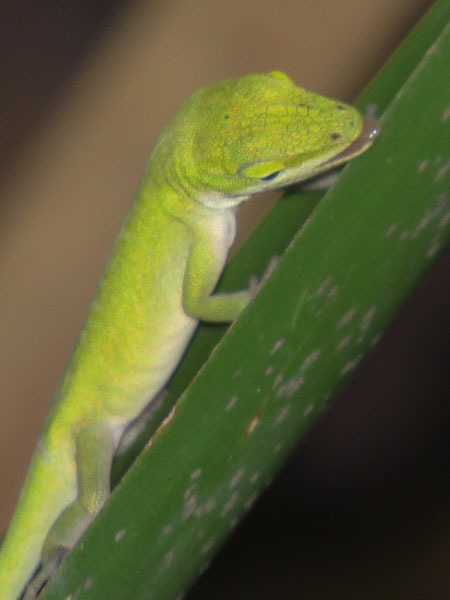 Hunting on the palm frond. The find of the day! 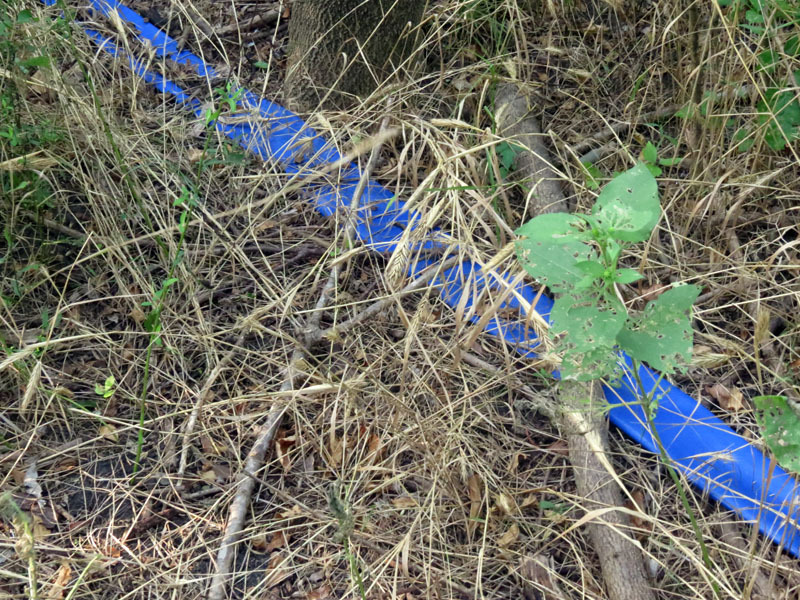 A Broadband Water Snake. 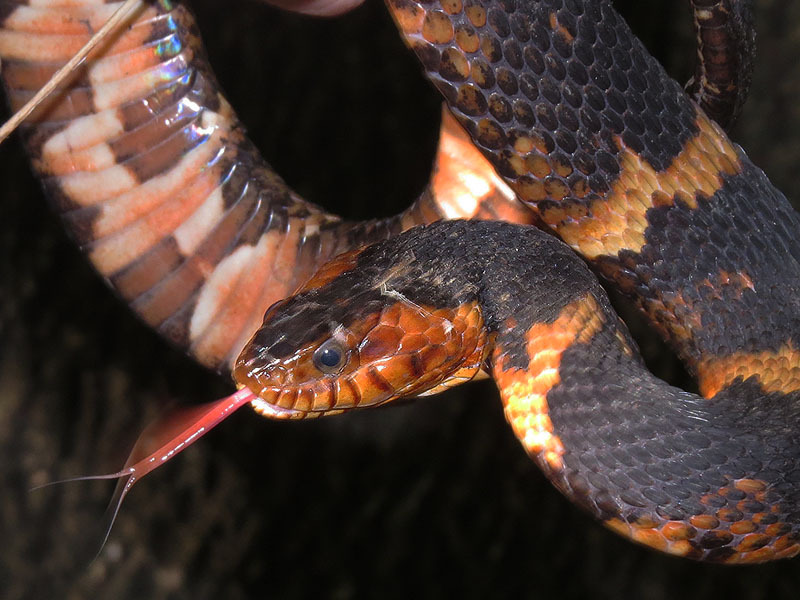 The striking coloration makes it appear as if this snake has been tie-dyed. 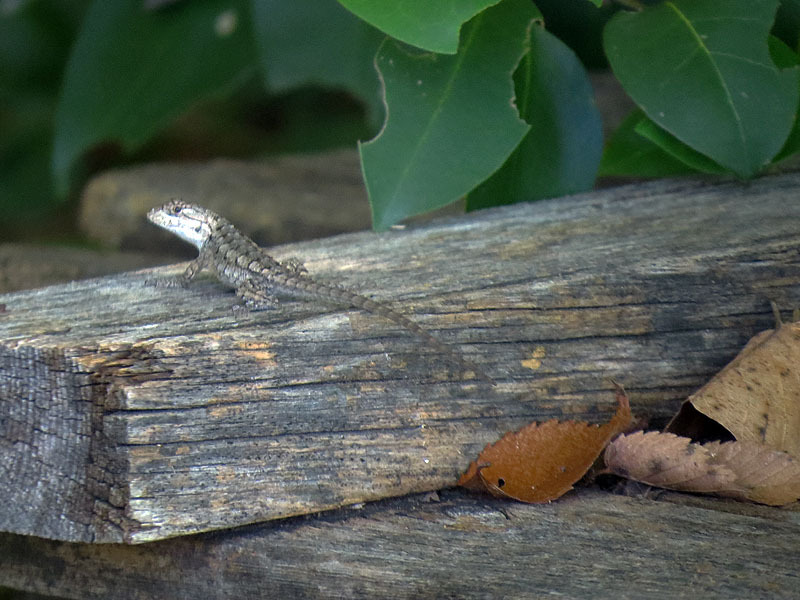 A juvenile Texas Spiny Lizard. 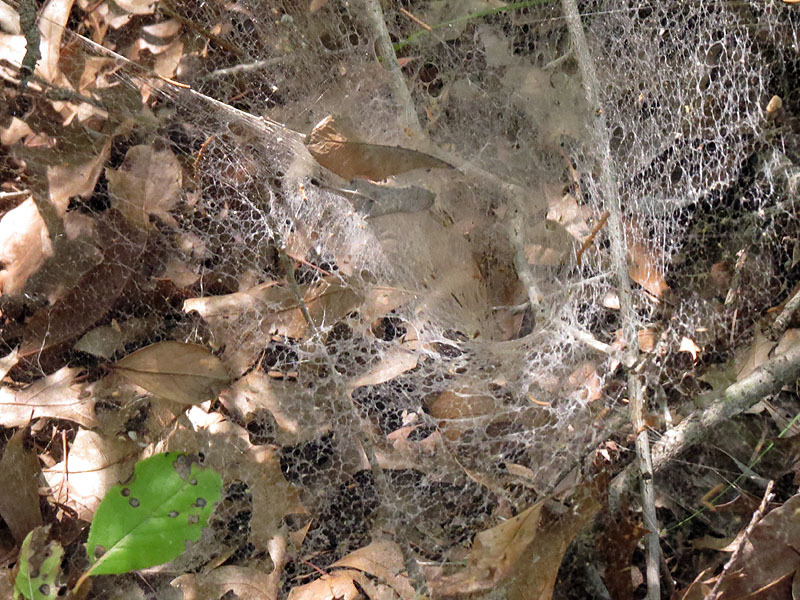 A Funnel Spider web as viewed from the side. The same web as viewed from the top. Ironically, we had discussed the possibility of coming across one of these snakes as we were walking from our cars at beginning of our hike. I think we all believed it to be something of a long shot at the time. As it turned out this rare discovery was a perfect way to cap off a tremendously unique and exciting venture into the dark woods of the Great Trinity Forest. Climbing out of the Bruton Bottoms. This is amazing! I have frequently wanted to go on a walk-about in this area but have hesitated. I know that there used to be a number of pig farmers in the area and would expect to encounter some feral hogs. I have also thought to take some our scouts with us to pick up litter. There likely are feral hogs in those bottoms, but I did not see any evidence of them on this trip. The hogs in the GTF are wary. If they detect your presence they will flee. A clean up project might be a good idea after the snakes and such go into hibernation later this fall, especially if things stay relatively dry! I’m a big fan of the idea of cleaning up some of these places that have been made more accessible because of the drought. Its been a long hard dry spell. It would be nice if a little good could come from it!